Experience what you have never experienced before. Infrastructure and security optimized. Whether it's corporate infrastructure or large scale datacenters, our consultants deliver with the highest performance and efficiency; enabling our customers to focus on the core of their businesses. Gathering the top talents of the world to deliver an uncanny experience in fulfilling software development needs covering web, mobile applications, cloud applications, IoT, and much more. Our team of IT support experts covers all our customers' needs from the lowest level of technical issues to the highest level of IT budgeting & project management challenges. Delivering performance by accelerating processes every step of the way. We partner with our customers closely to achieve their goals and in a fraction of the cost and time. MXI is an international management consultancy focused on utilizing technology to optimize business performance. We are the technology arm of all sizes, from the smallest firms to the largest enterprises, in our 8 points of presence across the globe. Our business-centric and user-friendly focused methodology is what sets us apart from the rest. Those who have experienced MXI, simply won't go back. We are both confident and proud of our service quality and encourage you to experience it for yourself to feel the difference. 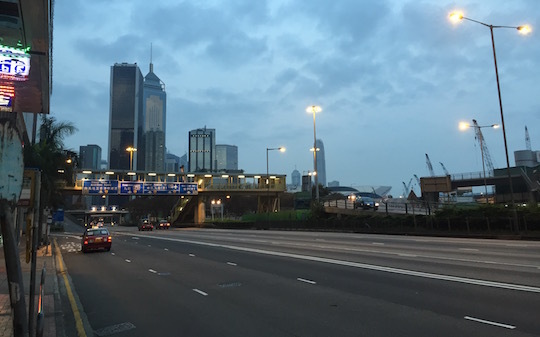 Is your business ready to expand to the complex Chinese markets? Our consultants are seasoned technology professionals with many years of experience in the GCR. The depth of our understanding in the market, language, and culture will assist your business in launching much more effectively. We don't pretend to be China experts. In fact, we firmly believe that there's no such thing. We simply have a firm understanding of the culture and a strong foundation with vast contacts that allow us to apply technologies in a localized form to help you navigate these hugely complex markets. Jeremy is the visionary, operations leader, and principal consultant of Metacentrix. He has 20+ years of experience in entrepreneurship, client services, IT operations, and project management. Most recently, he founded an international digital fabrication consultancy, a shared maker co-working space, and a hardware startups incubation center in Hong Kong. Previously, he led a team of senior and principal engineers in managing all of Microsoft’s research and development datacenters worldwide. Prior to Microsoft, he served as the Director of IT at Imagekind, Inc., and was actively involved in IT management strategy, business operations, web application architecture and implementation. Before Imagekind, Jeremy was the Technical Services Manager at Vigilos, Inc., where he managed the IT infrastructure and network-based enterprise security management systems in both production and development environments; a product used by the FBI, US Navy, WSDOT, Global Crossing, Pemco Insurance, and Holland America. 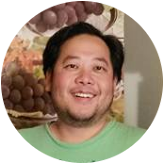 Jeremy began his career during the "IT bubble" in the 90's and holds a BS in Informatics and a BA in Economics from the University of Washington. He also holds a certificate from the University of Washington for Information Assurance and Cyber Security. 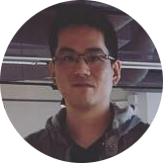 Greg Hao is responsible for the legal, business development, and technical operations aspects of Metacentrix. He's an one-of-a-kind hybrid manager and principal consultant who brings tremendous value to the leadership team. His diverse background in entrepreneurship, IT operations, manufacturing, and commodities trading provides Metacentrix with insight that makes Metacentrix one of a kind. Prior to Metacentrix, Greg founded and managed Twilight Ventures, an international management consultancy with up to $20 million in contracts. Throughout his career, he has been employed by many well known companies in the Southern California region and played the roles of systems administrator, strategic consultant, fund raiser, manufacturing/supply chain manager, account manager, and many more. He is currently also an active angel investor and sits on the board of directors for multiple emerging businesses. Greg holds degrees in Economics and Political Science from the University of California, Irvine. Victoria is the controller and principal consultant for accounting and finance related engagements at Metacentrix. 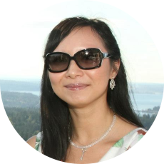 She has 15+ years of experience working with many small to medium size businesses in the Pacific Northwest and the Greater China Region. Her expertise in small business accounting, tax, audit, and human resources allows Metacentrix to provide a strong line of services to our customers as well as keeping our internal core at optimal efficiency. Aside from her accounting duties, she is also the office manager and authority in designing client financial systems. Victoria holds a BS in Business Administration with a focus on accounting from the University of Washington, a MS in Tax from the Golden Gate University, and CPA credentials. David is our frontline leader who engages with our clients on a daily basis. He ensures that all of our clients are receiving the service quality that is expected of us. He's also a technically hands on leader who dives into our clients' problem resolution as well as implementations of all sorts. 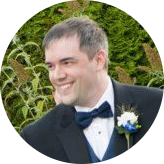 Prior to Metacentrix, David was in the Microsoft Windows Phone 7 team in charge of a large portion of their lab procurement operations. Before Microsoft, he worked in many other well known companies such as Nordstrom in the Pacific Northwest and gathered much experience in managing client relationships and providing optimal IT environments in large scale IT operations. With David in the frontline, our clients are at ease and many of them have suggested that they sleep better at night with him overseeing the client engagement operations. Metacentrix, LLC is an international management consultancy that was founded in 2003. In the beginning, it was brought to life to serve a few small to medium size businesses' IT needs within the Greater Seattle area. Since then, it has grown into a multinational consultancy with a broad range of services catering to clients in our eight points of presence around the world. Over the years, we have been instrumental in helping clients realize how true IT management services is supposed to be like with our customer focused approach. With many years of experience in the small/medium sized market to Fortune 500 enterprises, our consultants have relied on their breadth of experience to deliver cost effective solutions. Our hiring standards are of the highest in the industry and will only consider candidates and vendors of the very best. In 2018, Metacentrix was rebranded into MXI; a brand name that is aligned with the modern era while retaining the history and spirit of the name, Metacentrix.